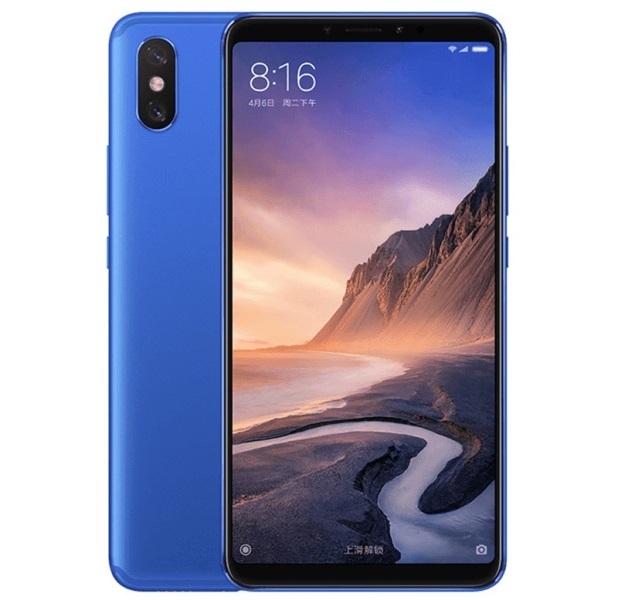 Home News Smartphones Xiaomi Xiaomi Mi Max 3 Announced; SD 636, up to 6GB RAM/128GB ROM, Dual Cameras, and 5500mAh Battery! Xiaomi Mi Max 3 Announced; SD 636, up to 6GB RAM/128GB ROM, Dual Cameras, and 5500mAh Battery! Xiaomi did it again! The Chinese mobile manufacturer has unleashed its new mid-range contender that comes with an affordable price tag and powerful specs – the Mi Max 3. The Mi Max 3 is dominated by its huge 6.9-inch 2.5D curved IPS screen that gives off an FHD+ display. The panel delivers an 18:9 screen aspect ratio with 2160 x 1080 display resolution, translating to 350 ppi. Under the hood, it is powered by a capable 64-bit Snapdragon 636 octa-core processor clocked at 1.8GHz, paired with Adreno 509 graphics. Moreover, it can be coupled with up to 6GB of RAM and 128GB of internal storage. The phone boasts a monstrous 5500mAh battery, as well, complemented with Quick Charge 3.0 technology. The handset also offers a good camera setup. It is equipped with dual rear cameras composed of 12-megapixel f/1.9 Sony IMX636 and 5-megapixel sensors, as it sports a decent 8-megapixel f/2.0 selfie snapper, too. See Also: Xiaomi Mi 8 Arrives in PH; Price Starts at Php25,990! The phone runs on Android 8.1 Oreo operating system with MIUI 10 skin on top of it. Comes with 4GB RAM/64GB ROM variant and 6GB RAM/128GB ROM model, the Mi Max 3 is priced at CNY 1,699 (~Php13K) and CNY 1,999 (~15K) respectively.